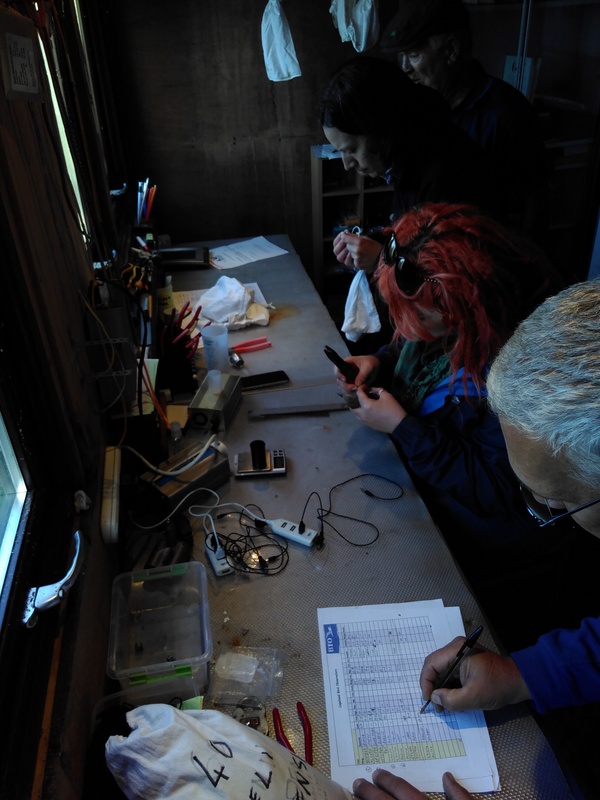 Over Halloween weekend I made a trip to Wales to take part in a wader ringing weekend organised by SCAN ringing group coordinated by fellow ex-Curlew field worker Steve Dodd. A busy weekend which involved mist netting Friday night and a cannon “shoot” on Saturday and Sunday. 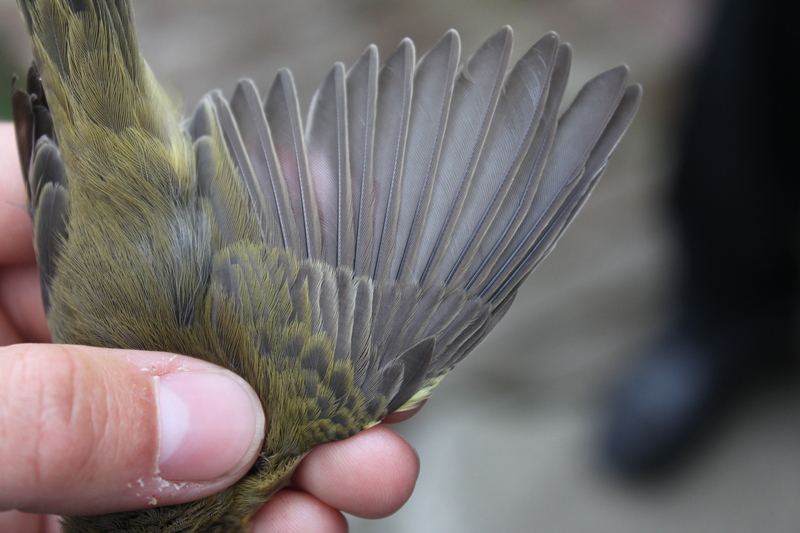 Ringing took place in a nature reserve between Bangor and Conwy in north Wales. After 11 hours of travel (bus x 3, ferry, train & a lift from Rachel), I met the assembled team (in the dark) who had set the mist nets. Base camp was set up (where birds would be ringed and processed) and I borrowed a set of waders (thanks Emilie) to join the extraction team in the wet muddy parts of the reserve. After a welcome slow start (allowing adjustment to the dark & the mud) the birds arrived and began appearing in the nets attracted by the tapes. We worked carefully, without light where possible, to extract the waders. Despite my experience with passerines, I found the extraction quite difficult, however Steve & Richard were always close by to help and offer tips. About an hour after high tide we closed the nets and went to assist the ringing & processing team. 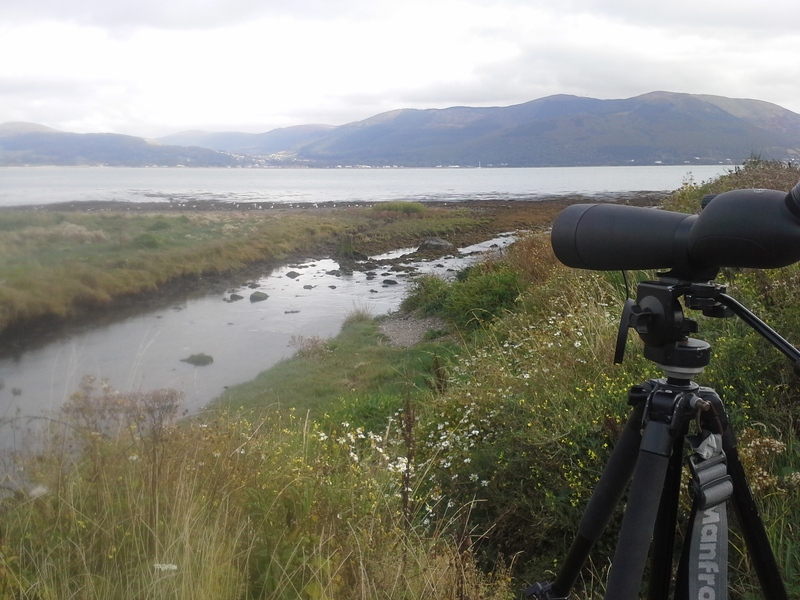 In total 82 Redshank, 34 Dunlin, 2 Curlew, 2 Black-tailed Godwits and a single Knot were caught. 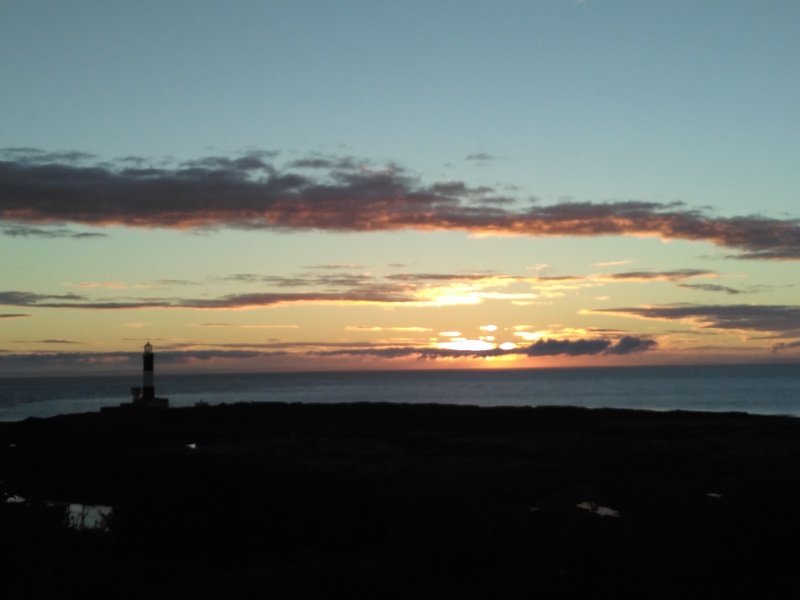 Once the last bird was released, all equipment was swiftly packed up and it was home for a few hours sleep before an early start to set cannon nets. Although this was my second time attending a cannon net “shoot” it was a very different experience. As the nets were being set from scratch each day I got to experience the whole process from start to finish. This gave me more of an understanding and appreciation of how much time, equipment and expertise is involved in cannon netting (and how many factors need to come together for it to work). I was delighted to be involved in many different parts (especially the connecting up the “chocolate blocks“) and everyone made sure I felt like part of the team and was kept busy! After multiple briefings and what seemed like an eternity (patience is very important! ), I heard the magic words “3,2,1” followed by bang. Everyone dashed to the net and got to work covering, extracting, placing birds in keeping cages and finally ringing and releasing. 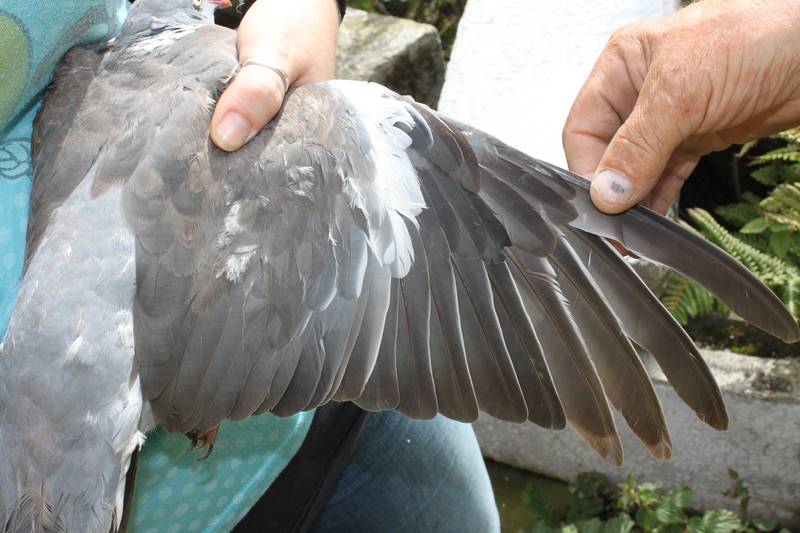 Once birds were safely in keeping cages, we divided up into teams and the ringing and processing began. Among the 418 Oystercatchers (the target species for the catch) and 25 Curlew caught we had one Bar-tailed Godwit and one Black-tailed Godwit. I was given the chance to ring the Bar-tailed Godwit and it was a great opportunity to see these two very similar species up close and compare their differentiating features. The processing team lead by Steve & Rachel with Tom, Will & Orinoco to keep everyone company! 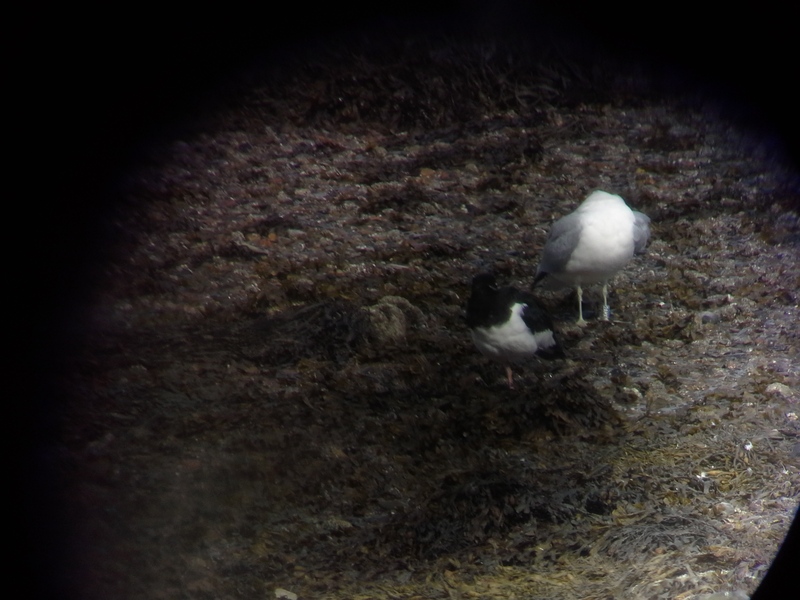 About one third of the Oystercatchers caught were already ringed. 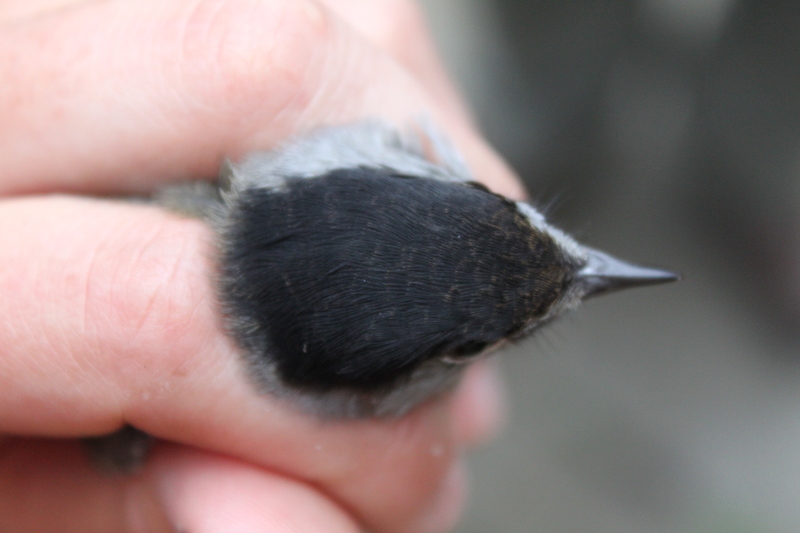 The majority of these were ringed in previous years by the SCAN group (retraps), with the oldest retrap of the day being 29 years old – older than quite a few members of the ringing group. The record for the longest living Oystercatcher in the BTO ringing scheme currently stands at 40 years, 1 month and 2 days. 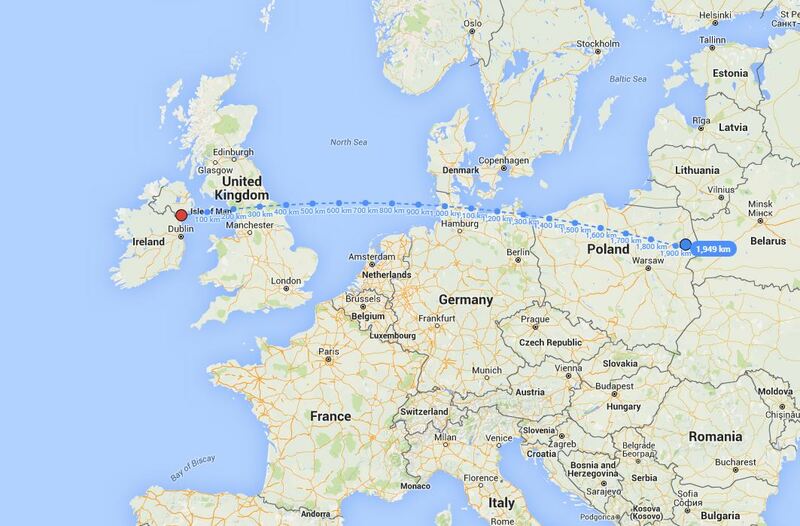 Among the ringed birds, we had 3 foreign controls, ringed in Iceland including JA a colour ringed bird. Initially I thought the colour ring was not white, but faded yellow meaning it could belong to the Dublin Bay Birds Project, but I was wrong, it was just dirty! 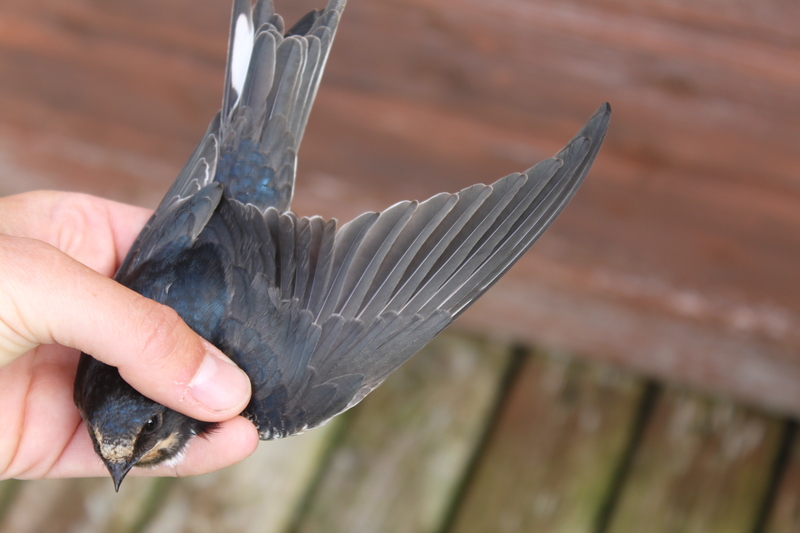 By mid afternoon all birds had been ringed and released and it was time to pack up. Another efficient clean up operation meant more time available for tea drinking and rest. 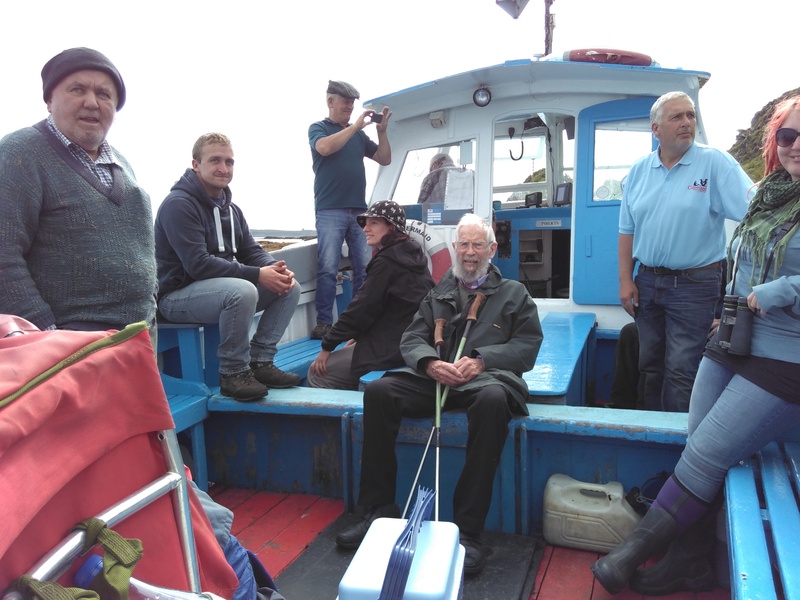 On Sunday morning a net was set in a green field, before high tide, with the aim of catching Curlew. After all equipment was set up, I was given the opportunity to be part of the team that would sit in the hide, so I had a birds eye view of moments before the net being shot. I thoroughly enjoyed a very well organised weekend catching waders with a group of knowledgeable and friendly ringers. I would definitely recommend a visit for any ringer interested in experiencing cannon netting. 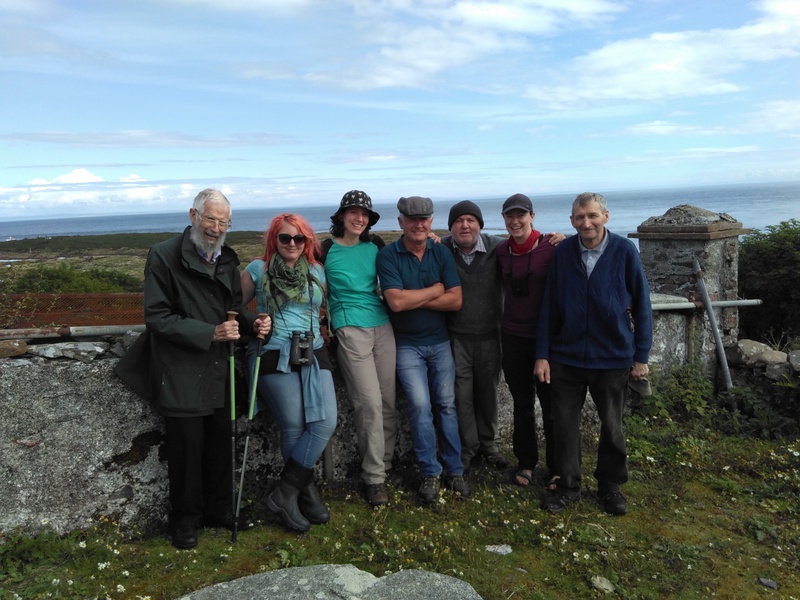 A collection of photos from a trip to Copeland Bird Observatory organised by the Belfast and Down Ringing Group on September 3rd & 4th 2016. 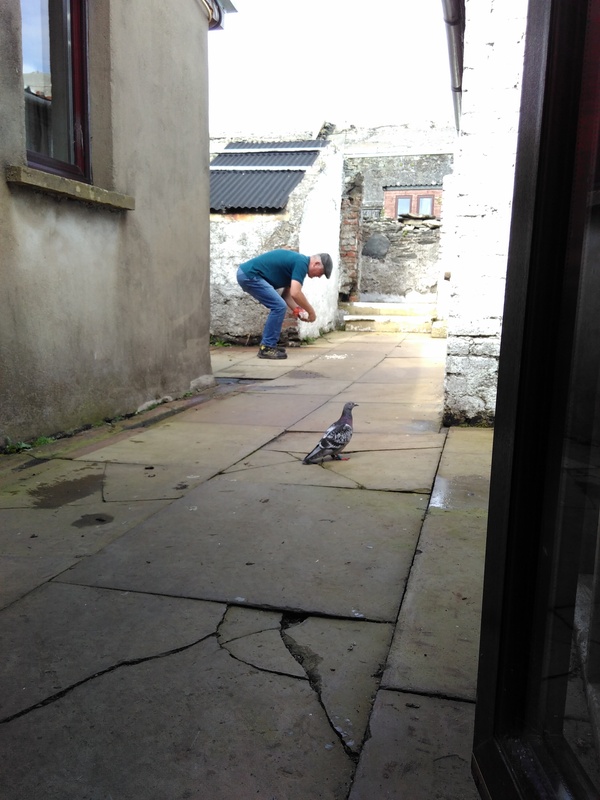 The hungry “lost” racing pigeon gets fed, after coming into the obs searching for food! 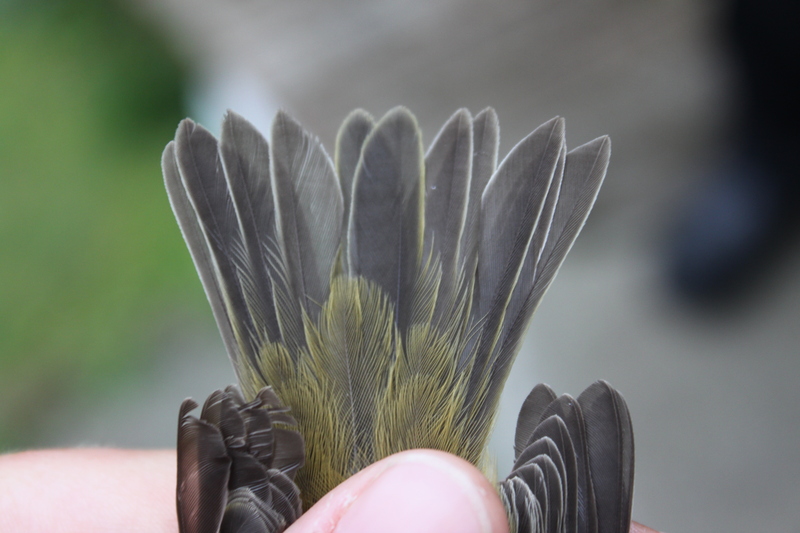 Nice example of moult limit in first year Chiffchaff. 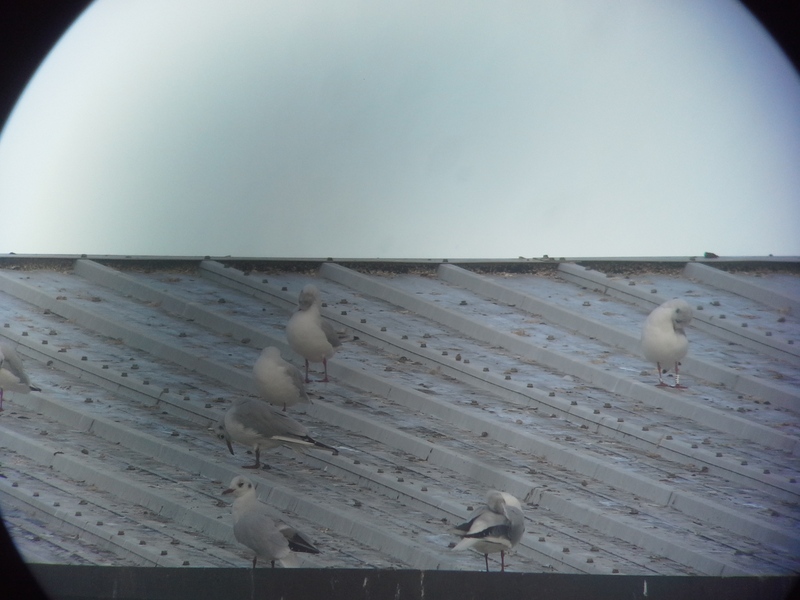 The 4 unmoulted old greater coverts (OGCs) have a pale washed out sandy colour to the edge – September 2016. First year Chiffchaff with moulted central tail feathers – new adult type feathers are broader with a greenish edge – September 2016. First year Robin with speckled plumage, remains of gape and short bill – September 2016. 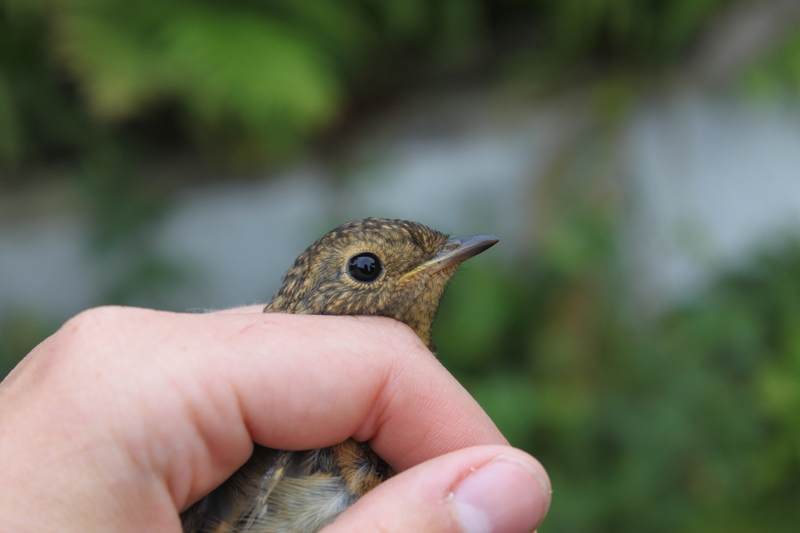 First year Robin going through post juvenile moult – note missing inner greater coverts and 6 OGC’s with buff-orange tips. September 2016. First year Robin with growth bars across tail feathers – note pointed tips also. September 2016. 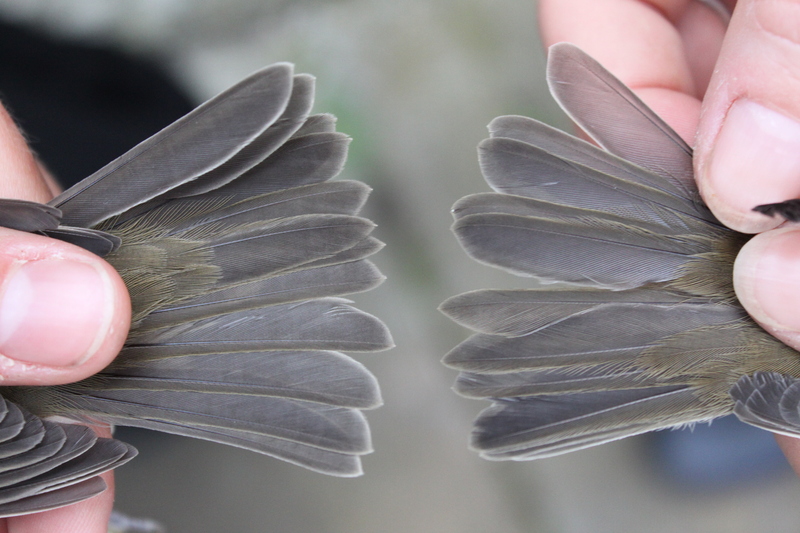 Small amount of brown remaining in crown feathers of first year male Blackcap. September 2016. 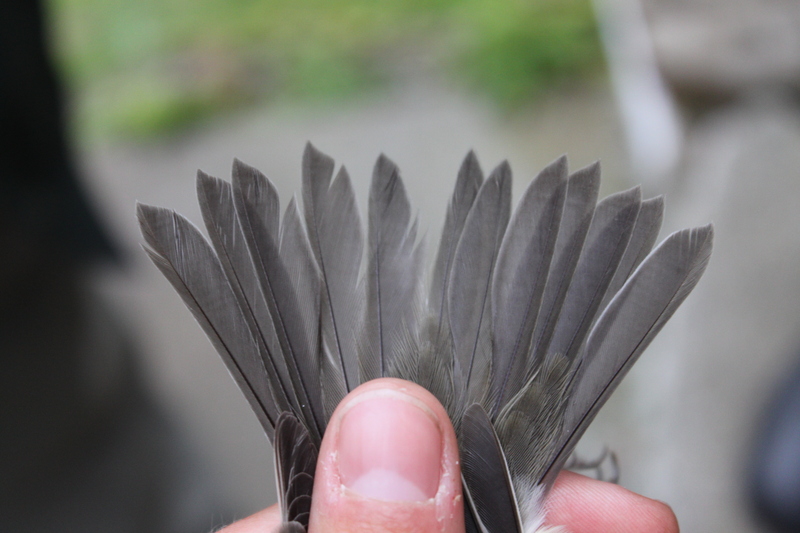 Subtle moult limit in first year male Blackcap – 1OGC. September 2016. 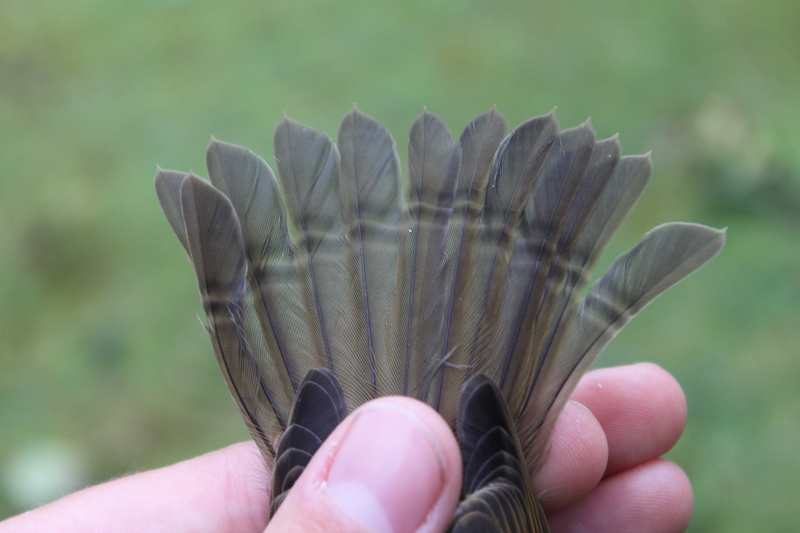 Pointed tail feathers of first year male Blackcap. September 2016. 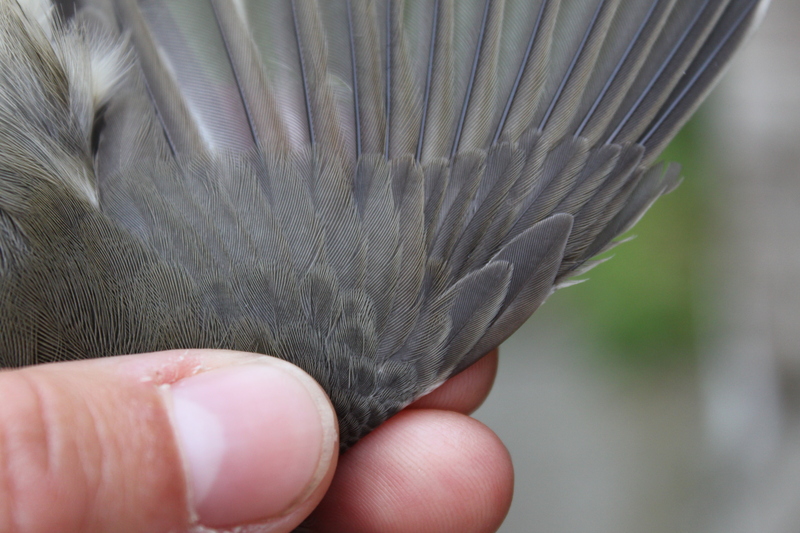 Comparison of tail feather shape in female Blackcaps. First year (left) and adult (right). September 2016. 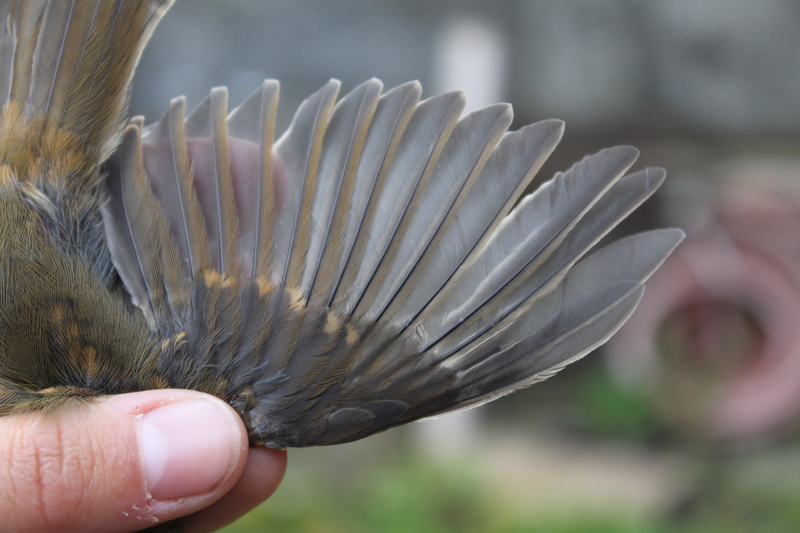 Wood Pigeon wing – suggestions on age welcome! September 2016. First year Swallow after partial post juvenile moult (moulted feathers on back, head vent and coverts show blueish tinge). September 2016. 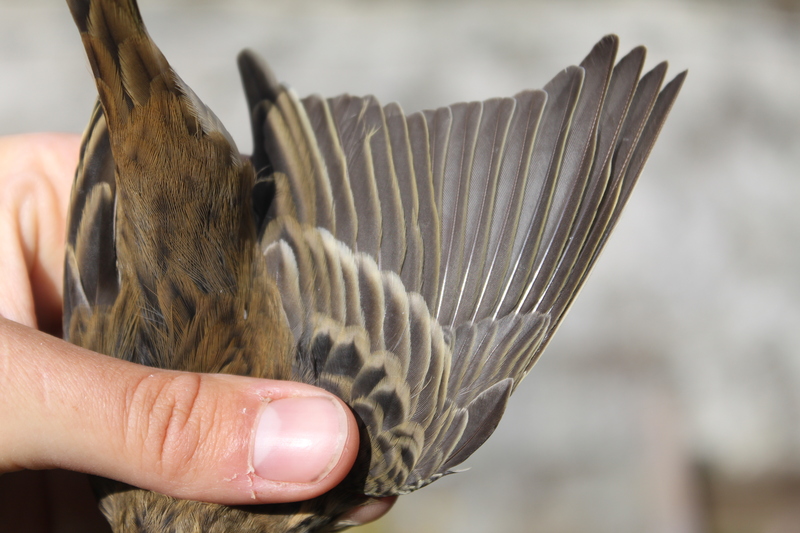 First year Meadow Pipit following partial post juvenile moult – moult limit evident in greater coverts (7 or possibly 8 OGCs). 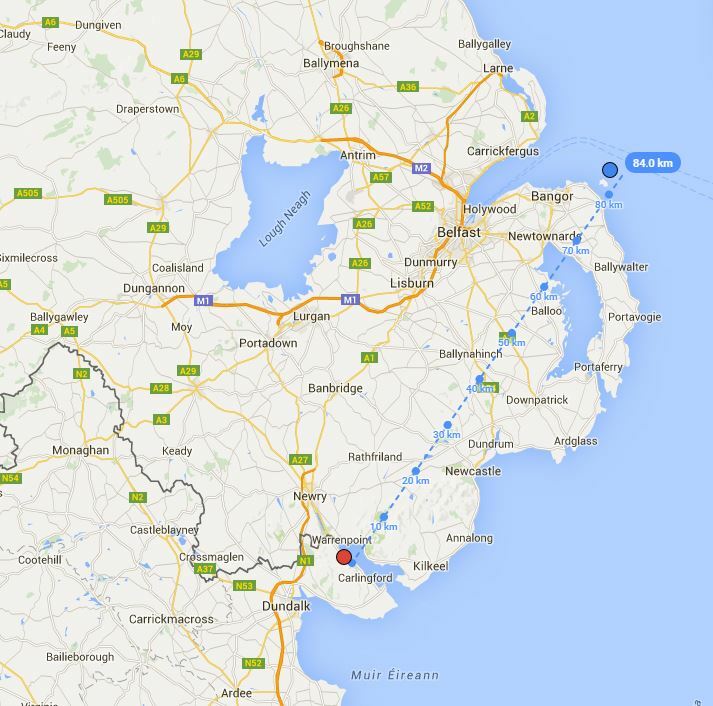 Returning to the mainland in the sunshine!